Aniridia is a genetic condition that affects the eyes. It is a rare disease characterized by the absence of iris and is present even at birth. In some cases, it can also lead to total blindness. The eye disorder is present since birth and happens due to improper development of eyes during pregnancy. The main cause of disease is mutation in genes (specifically PAX6 gene). A single piece of defective gene can cause this condition. One third of the cases are of genetic mutation while others are hereditary. Low visibility due to defect in eyes. Loss of lustre in corneas. Clouding in the entire eyes. Development of cataract at a very young age. There is no way to prevent this disease. However, couples with a family history can get a genetic checkup of the foetus done to prevent it beforehand. It can help determine if the disease is present in the child or not. It can not be determined or avoided totally, still a probabilistic analysis can be done. There is no treatment available to cure this disease completely, however some treatments to minimize the damage or prevent further complications can be done. Cataract removal is often done to improve the vision of the affected person. 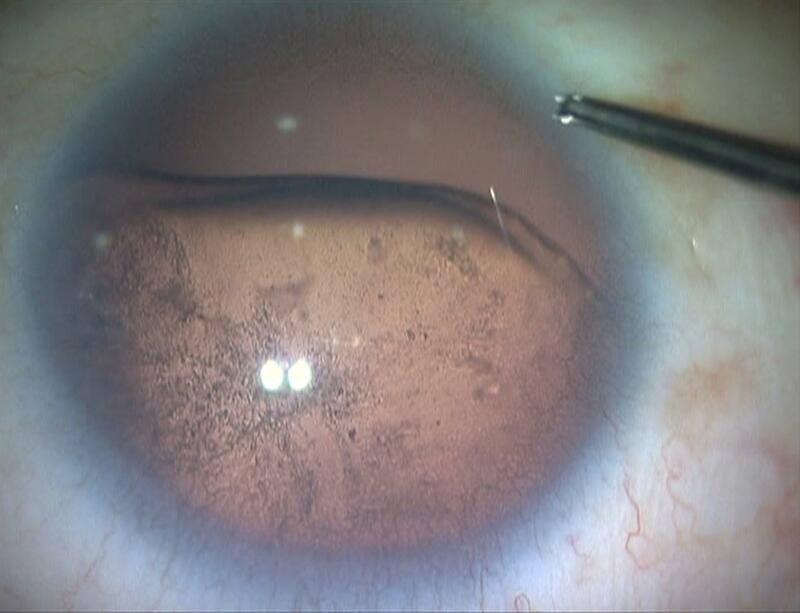 After cataract removal, artificial iris may be replaced in the eye. Besides, laser therapy is another option to treat it.